Just about every child has a favorite stuffed animal. I can remember my little ones dragging a stuffed friend all over creation and all of the nights trying to figure out where he was left so that they could go to bed. This special friendship between a child and his lovey is unmatched and so precious. Imagine how they would feel if they could wear their stuffed animals! 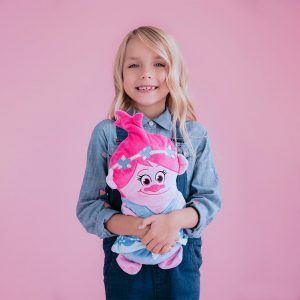 Almost as important to kids as their special stuffed friend is wearing their favorite characters. Those special tee shirts, jammies, and hoodies that let them show off to the world that they’re a big fan are wardrobe must haves. Now imagine if they could take their favorite stuffed friend and wear them? With Cubcoats, they can! Cubcoats are an adorable 2-in-1 wearable stuffed friend that they can take along anywhere they go! These soft, snuggly plush characters and animals are perfect cuddly pals that transform into a fully lined hooded jacket. They are made from soft-touch fleece and feature a silicon tip zipper for safety. They are machine washable, making them great for busy and on-the-go little ones. Your child and their new friend will be inseparable, having adventures galore! 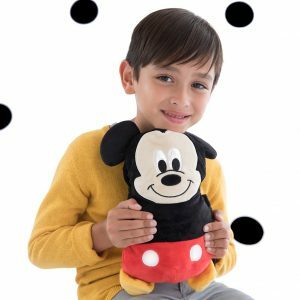 One of the best things about Cubcoats as that they help to eliminate the issue of what to do with their favorite stuffed friend when going on an adventure. Ready to run and play? Unfold the jacket and wear your buddy! They can take along their best buddy wherever they go, allowing them to imagine that they are really playing together! Whether they are lonely and need a pal or afraid and need a boost of courage, their Cubcoat friend is there for them. It’s really a wonderful way to help little imaginations grow and develop. There are plenty of characters to choose from when choosing a Cubcoat for your little one. Whether they love a special animal or are into some of the most popular characters, they’re sure to find the perfect friend. They can choose from Pimm the Puppy, Papo the Panda, Tomo the Tiger, Bori the Bear, Kali the Kitty, or Flynn the Fox. Licensed characters include Mickey Mouse, Minnie Mouse, Bob the Minion, Poppy the Troll, Black Panther, Spider-man, Darth Vader, and Chewbacca. There is sure to be a character for everyone! 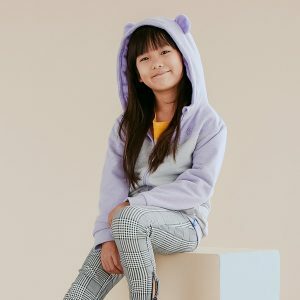 In addition to all of the wonder and joy that Cubcoats will bring to your child, Cubcoats also gives back whenever you purchase one of their products. A portion of your purchase contributes to charitable giving to their partner organization, Baby2Baby, which helps low-income children from 0-12 years of age. Ready to add Cubcoats to your holiday shopping list? Learn more and pick up a wonderful friend for your little one at the Cubcoats website. Use the code MOM10 at checkout to take 10% off your order! The wonderful folks at Cubcoats are allowing us to give our readers a chance to win a Cubcoat of their very own! THREE lucky winners will each receive a Cubcoat of their choice with overnight shipping (pending stock levels). Just enter to win in the Rafflecopter below! It’s Snout-longer Winter, Get Your Spring on with Peppa Pig! It’s almost Senior Year – Now What? Next Article How Actually Do Credit Card Miles Work? 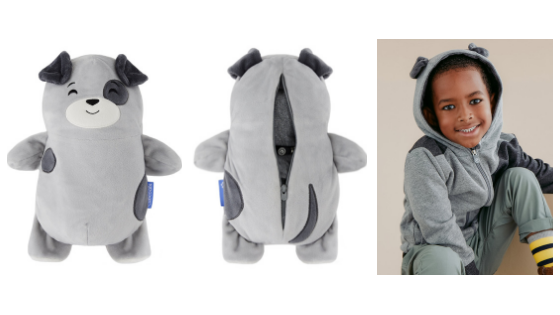 Now this is definitely something different–a stuffed animal that switches to a hooded jacket! What a wonderful idea! I have seen these advertised. So cute. 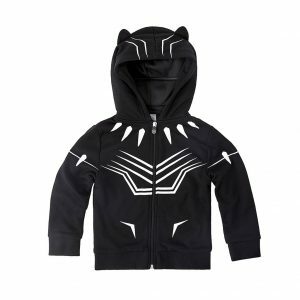 I have one that is too big (and too “cool”) and one that is too little for this now, but definitely a future purchase. I love that the Cubcoats features favorite characters. Looks like something that would get my son wiled up. So cute! This is such a wonderful idea! So cute. My son want this. This is so cool, two in one kind of a thing. Awww, these are so cute! I should definitely get one for my nephew, he would love to wear his favorite cuddly toy. What a wonderful idea! Kind of like onesies, but more personal! Definitely keeping this in mind for Christmas. Wow, this is actually the cutest thing I’ve ever seen. So smart too. My nieces and nephews would love this. These are so much fun! I bet any child would love these. This has to be one of the cutest ideas I have seen. My nieces would adore these. These are so adorable! What child doesn’t want to be their favorite character! All of them are so cute! My niece would love the unicorn (I hope if they have) This would be perfect this coming holiday. WOW. They all look so cool. What a perfect gift for this season, i just loved, they are adorable. Treat one’s stuffed animal with love and be responsible with one’s clothing. Practical and ethical. There is a lesson here. Perhaps? This is so cute! Why hasn’t anyone thought of this before? These are so adorable. My daughter would love one. Cubcoats are so adorable I will definitely share with family and friends. My son would just LOVE a Mickey Mouse cubcoat! Thanks for the opportunity! This is a good way to get your child to bring a jacket with them: Take it with them as a toy, and if it gets cold, turn it into the jacket. This is so cute, would love to win this for a little girl I know. Even though this is for kids… i wouldnt mind it wearing too.. so cute they look..
Oh ww wow, these are really cute. These are something that my kids would really love. I’ll have to check this. What a great idea! This is adorable! Super cute! My niece and nephews would totally love these. These are so fun and adorable! I think kids of any age would appreciate one of these for Christmas! Super cute coats — Minnie Mouse is my favorite! Lovely clothes. Babies must be comfortable to wear. They are the cutest coats ever! I think this is so cute…a stuffed animal and jacket in one! Awesome! A stuffed animal jacket combo. I bet they won’t forget this at the playground. That’s great! Very nice addition to our children’s clothing stocks.